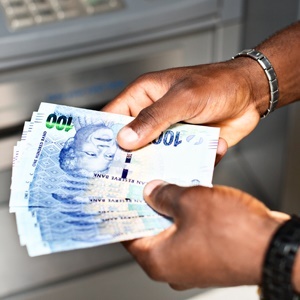 Cape Town – National Treasury’s estimate of a R30bn revenue collection shortfall is optimistic and an additional R8bn shortfall is very likely, said Kyle Mandy Director at auditing firm PriceWaterhouseCoopers (PwC). Mandy was one of a number of stakeholders who made submissions to Parliament’s two finance committees on National Treasury’s Fiscal Framework and tax proposals for the 2017 Budget on Wednesday. He cautioned that the bulk of South Africa’s revenue collection currently comes from direct taxes in the form of personal income tax and dividend tax. Mandy and other stakeholders who made submissions, such as the South African Institute of Chartered Accounts (SAICA) and the South African Institute of Tax Professionals, echoed sentiments expressed by the Finance and Fiscal Commission a day earlier that an over reliance on personal income tax is not sustainable and a discussion needs to take place about an increase in value-added tax (VAT). SAICA’s Tracy Brophy cautioned that the tax base, which will produce income tax collections at a rate of 45% - those individuals who earn R1.5m and above – is relatively small and will only yield R16bn. “The Finance Minister said revenue collection from this base is down. Why is he then increasing the revenue collection from this base? It’s not sustainable,” Brophy said. According to SAICA, National Treasury’s proposed general fuel levy increase of 30c per litre should also be regarded as a regressive tax – even more so than VAT – and directly impacts the poor. “Ironically, over the last three years the government has used the fuel levy to generate nearly R63bn of which nearly R20bn was used as general revenue collection,” she said. Pieter Faber, also from SAICA, called for a higher fiscal morality among public officials, and said unlawful and wasteful expenditure are still too high. 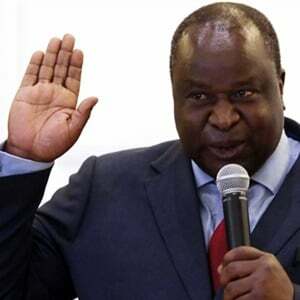 “Despite the Minister’s belt-tightening measures there has been an increase in unlawful expenditure of 80% in 2016 from national and provincial departments,” he said. If tax morality is not addressed, Faber said, government will see more taxpayer apathy as observed in the period before 1994 when there was significant tax avoidance. Erika de Villiers, head of tax policy at SAIT – an organisation that helps develop tax policy and fiscal legislation through dialogue with Parliament – concurred that government spending cuts should match tax increases. She was of the view that government’s intended expenditure on the National Health Insurance (NHI) should be delayed until it becomes more affordable to do so. De Villiers also weighed in on the tax compliance burden that small businesses in South Africa are facing. She said the burden of proof on small businesses should be a reasonable civil burden instead of being elevated to a criminal standard.